For most solids used in technological applications, the lengths characterizing the ever-present inhomogeneities are much smaller than lengths characterizing the deformation. 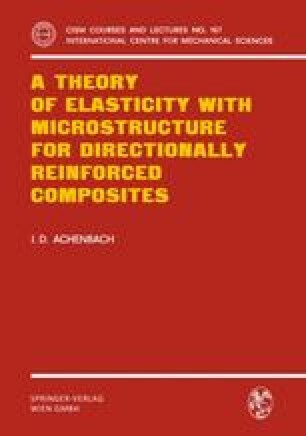 For the purpose of static and dynamic stress analysis it is then justifiable to describe the mechanical behavior by a classical, homogeneous, isotropic or anisotropic continuum. The corresponding theory, which is termed the effective modulus theory, was discussed in some detail in Part I.